The city of Nuremberg was an extremely important location from 1933, each year 500,000 National Socialists from all over Germany converged upon Nuremberg for a week. The Zeppelin airfield, which still exists today, was built especially for Nazi parades. In stark contrast, by the end of the Second World War, Nuremberg was utterly devastated by allied bombings. On our school trips to Nuremberg you'll be able to experience the history and redevelopment of this important city. Combined with a visit to Munich your students will get to see many of the historically important sites of the Third Reich. 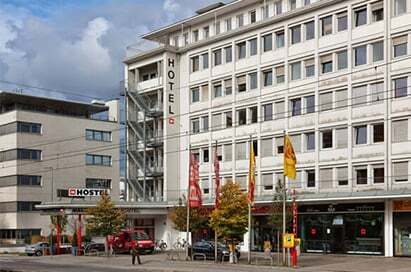 Depart UK airport for flight to Munich Transfer to your accommodation. Tour of Olympic Park Evening meal at a local restaurant. To this day, in Nuremberg's southern districts, the remains of the buildings on the former Nazi Party Rally Grounds with their immense proportions are a vivid testimony to the megalomania of the National Socialist regime. 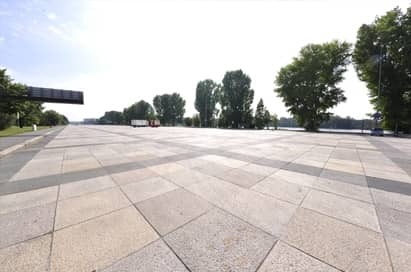 This area of eleven square kilometres was intended as an impressive backdrop for the Nazi party rallies staged here to demonstrate their power. The permanent exhibition "Fascination and Terror" looks at the causes, the context and the consequences of the National Socialist reign of terror. In special seminar rooms there are in-depth educational programmes for school classes, groups of young people and adults available. The portfolio of programmes ranges from 45 minute sessions after an exhibition visit to entire seminar days. 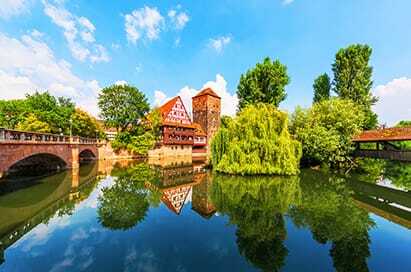 Discover a truly extraordinary place: beautiful and prosperous old-world medieval walled city, centre of the Holy Roman Empire, cradle of the German Renaissance, Temple City of the Third Reich, and home to both the Nuremberg Nazi Rallies and Nuremberg War Crimes Trials. Expert guides will show you where German Emperors were crowned, where saints were buried, where the most famous and talented German artisans in history created inspirational, awe-inspiring works, and where the colourful and lively markets have taken place for almost 700 years. You can spend days exploring the enchanting Old Town with its fantastic regional food and drink and the oldest Christmas Markets in Germany. 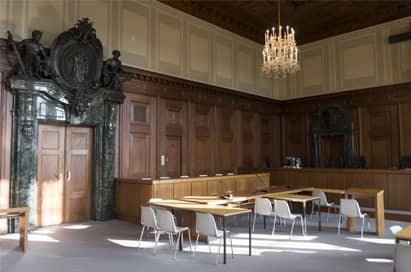 The Memorium Nuremberg Trials informs visitors about the background, progression and repercussions of the trials, at the original location where they were held. Selected historical exhibits such as parts of the original dock, as well as historical audio tapes and films, convey a vivid impression of events at the Nuremberg Trials. Shortly after the beginning of Wolrd War II, the most valuable mobile art treasures were secreted away in the 900 square metre historic art shelter, a system of vaults within the castle hill. Although building materials were scarce, problems with dampness and air-conditioning could be solved. 24 metres of rock protected the works of art against air raids. The original fixtures for storing these works can still be seen today.